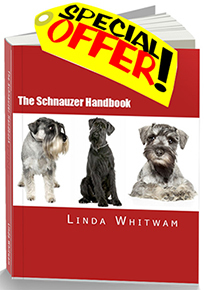 It's taken us ages, but we've finally put together a super collection of 100's and 100's of quality Schnauzer items and pet products in our Schnauzermania store. 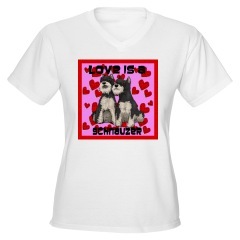 Schnauzer lovers, you'll not find a bigger or better collection in the whole of the universe! We've spent the time searching for the best products at the best prices. We've also tried to cater for all of our international visitors. North America is no problem - you can get everything under the sun here! The UK, Europe and Australia has been a little more difficult. We have, however, found loads of fab Schnauzer stuff for you and there's even more in the pipeline - that goes for the USA and Canada too. So, keep checking back here or subscribe to our RSS feed (right click on the orange RSS icon in the left margin) to find out when we add new shops or have a sale. 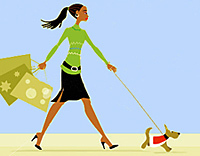 Just click on the blue links below and.....Happy Shopping! We are here to provide a quality service and welcome your feedback. If there is any dissatisfaction with a product, we will withdraw it immediately.